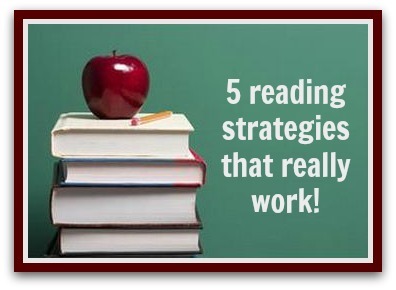 Teaching with TLC: Reading strategies that work! 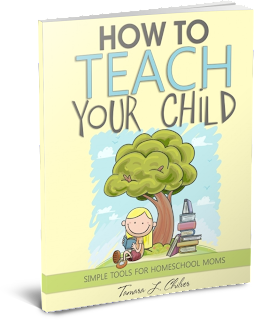 I have used many different reading strategies while teaching in the classroom, tutoring, and homeschooling my five children. Here are some terrific strategies to use with your child during your reading time together. Echo reading- The parent reads and the child mimics the parent. This is super for beginning readers who need to learn to read with expression. Cloze reading- The parent reads and randomly stops, so the child has to read the next word. The parent continues to read and stop again. Word train- The parent reads a word, and the child reads the next word. Flip-flop reading- The parent reads a sentence, and the child reads a sentence. As the child reads more fluently, the parent reads a paragraph, and the child reads a paragraph. Slowly progress to the parent reads a page, and the child reads a page. This responsive reading technique can continue well into the middle school years. It is a quick way to assess a child’s reading ability, and it keeps the child actively involved. The dog ran down the street. The boy chased the dog past his neighbor’s house. Stop-and-go reading- The parent and the child take turns reading after commas and punctuation marks at the end of the sentences. This is great for reading with older children. It really keeps them on their toes! The dog ran down the street. The boy chased the dog past his neighbor’s house, around the corner, and into the woods.